To accompany the photos I’ve just added from a walk on this day in 2004, just a few from today. I wasn’t intending to take any, I was only dashing into town to get some boring essentials from the shops. 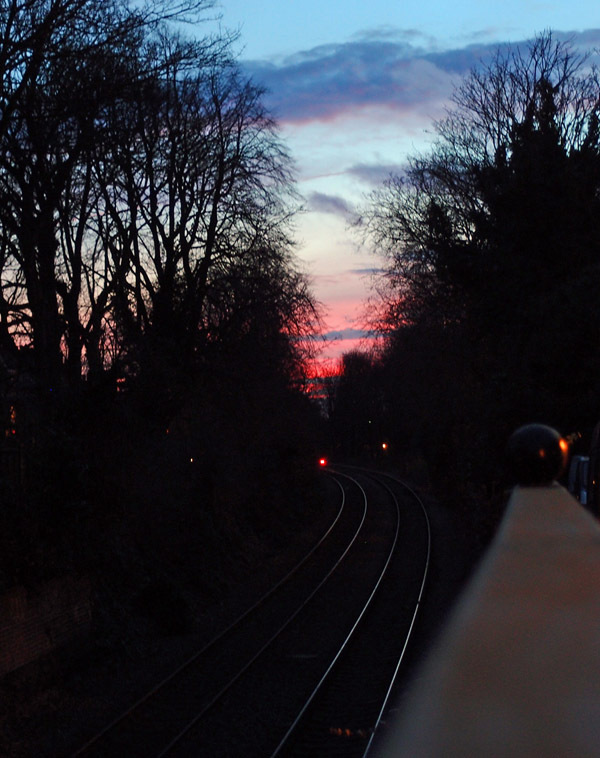 As I dashed up Grosvenor Terrace I saw this sunset ahead and nipped over the road to Bootham Terrace to try to catch it, reflected in the railway lines. I slowed down a bit then, realising that the shop I was heading for I wasn’t going to get to before it closed at 4.30. 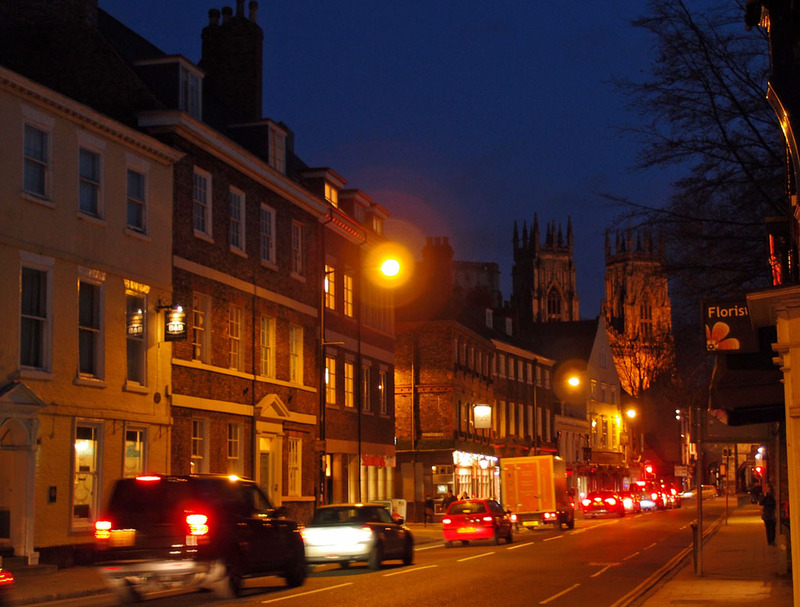 And as I walked up Bootham I admired this scene ahead, as I always do, in all seasons and all times of the day but looking particularly inspiring in this particular dusk on this particular day. 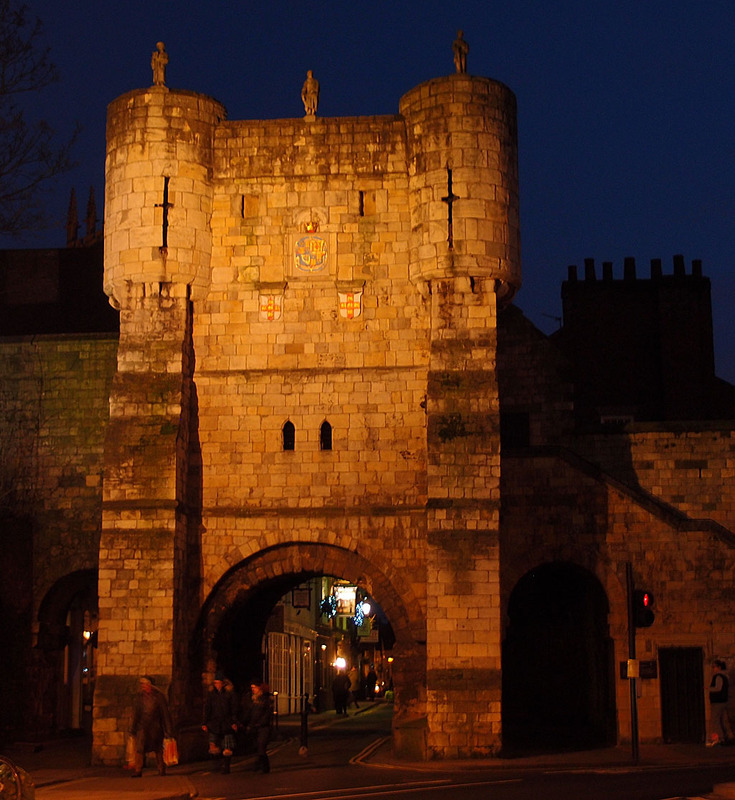 And then there’s this, my gateway into town, my gateway from town, big solid Bootham Bar. The shop was closed when I got there. It would have to be Sainsbury’s instead, but first a quick visit to King’s Square, which I’ve been meaning to mention. It has Christmas lights, and look what’s lit up most. The mulberry tree. That one they were going to chop down, but didn’t. Here’s to the mulberry tree, and the winter solstice, and the daylight hours increasing. 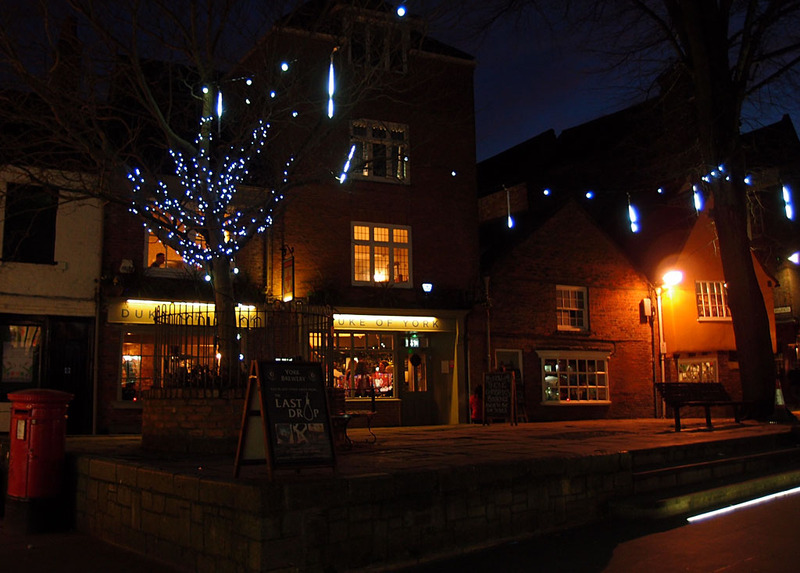 By Lisa @YorkStories • 21 December 2014 Wanderings To link to this page's proper location please use the > permalink.